I have been using Linux regularly since late 2003 as my daily driver, do-everything operating system. I have performed, many, many upgrades to many machines. Often, the nuke and pave route was my typical strategy. Upgrades often left a system partially working or with odd behavior. I like to fiddle with my Linux systems so my logic was to baseline after some time anyway. Over time, I haven’t been fiddling is as much, mostly because there is no need and have just been using Linux to get work done and performing distribution upgrades have been my typical upgrade path. openSUSE has been a great distribution, helpful community, base technology and supporting systems are top notch. I would not consider myself a Command Line Interface power user but I am fairly comfortable hinging out in the terminal. Often, I don’t have the patience to learn new commands or remembering specific system configuration commands. Thankfully there is YaST. It has been great for administering my system and has had many improvements over the years. Going from the Mandriva Control Center to YaST was an easy transition. YaST has made Linux life extremely easy and for that I am grateful. Early this year (2017) I switched my primary machine from using openSUSE Leap to openSUSE Tumbleweed. I have enjoyed the comforts of the traditional static release for many years and have rarely had any problems with it but started to become more interested in this rolling release model that all the “kids” were talking about. So far, I can say I am extremely pleased. Not a downside for ME but could be a downside for some: Upgrades have to be done in the terminal… I think… maybe you can do them in YaST but I do them in terminal. I think that Tumbleweed is targeting a power user rather than the typical mass user. The process has become much easier as the developers are very actively listening to the community. Depending on how many additional repositories you have added, there are occasions that may require user intervention and understanding of the software installed on your machine to resolve any version conflicts. This has not been a problem for me as I have clear understanding about what I have installed on my machine. You must stay current on your upgrades. I haven’t experimented as to see how long I can go between upgrading packages but I do believe this could be an issue. Also, it is the point of a rolling release to keep it updated. I have the latest software to play with. This is admittedly not something most computer users care about but I find it fun to play with the latest and greatest. Should the new software I am playing with break, I get the privilege of creating and sending out bug reports to identify issues that require attention. It doesn’t happen very often, but it does happen. I get the latest kernel, latest drivers and the latest software that has been tested by the openSUSE openQA system. I am continually impressed by every round of updates. Major kernel revisions, major updates in KDE Plasma, all just work. I have yet to “fiddle” with the system to get something working after an update. In my non-expert opinion, I can see how rolling releases could be the way forward for Linux distributions, but they really have to do it right, do it like openSUSE does it. They run software thru the automated quality assurance system, openQA, and deliver a product that just works. Are there packages of software that get thru and cause some hiccups? Yes, indeed it does happen but no more than what I have seen with the static releases. 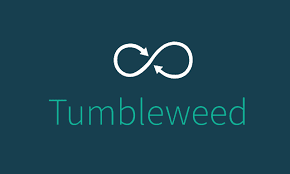 I will continue to use Tumbleweed for my primary system and my low powered netbooks for the time being. Computers I do not touch as often will remain on Leap, for now. It may or may not change in the future but for now, I will continue to enjoy the spoils of the openSUSE Tumbleweed rolling release. I would say, a rolling release that is truly done right.